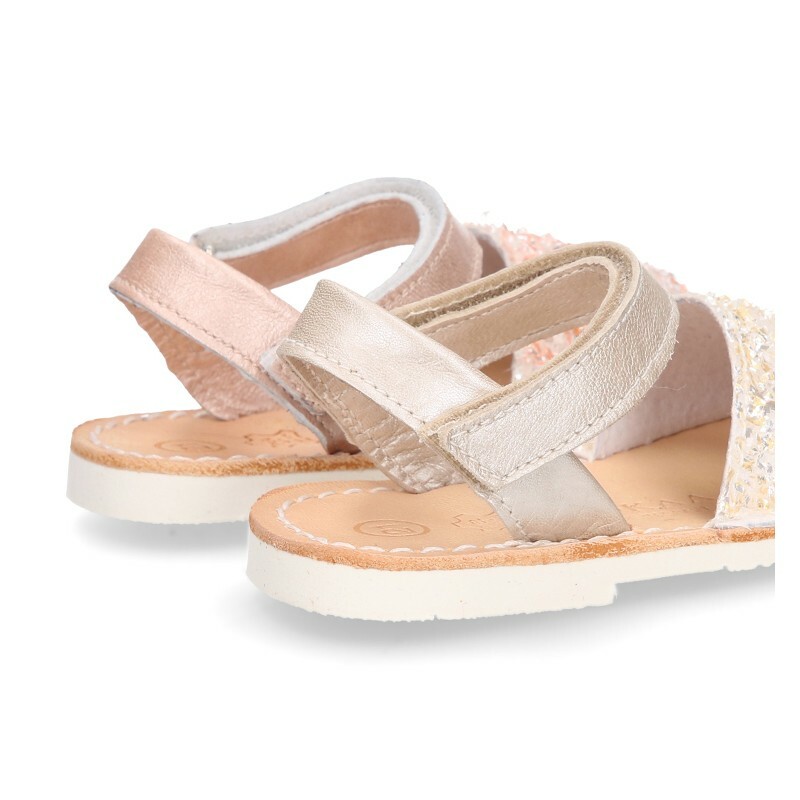 > First Steps>Avarcas from Menorca>New Menorquinas sandals with velcro strap in pearl nappa leather with crystals design. 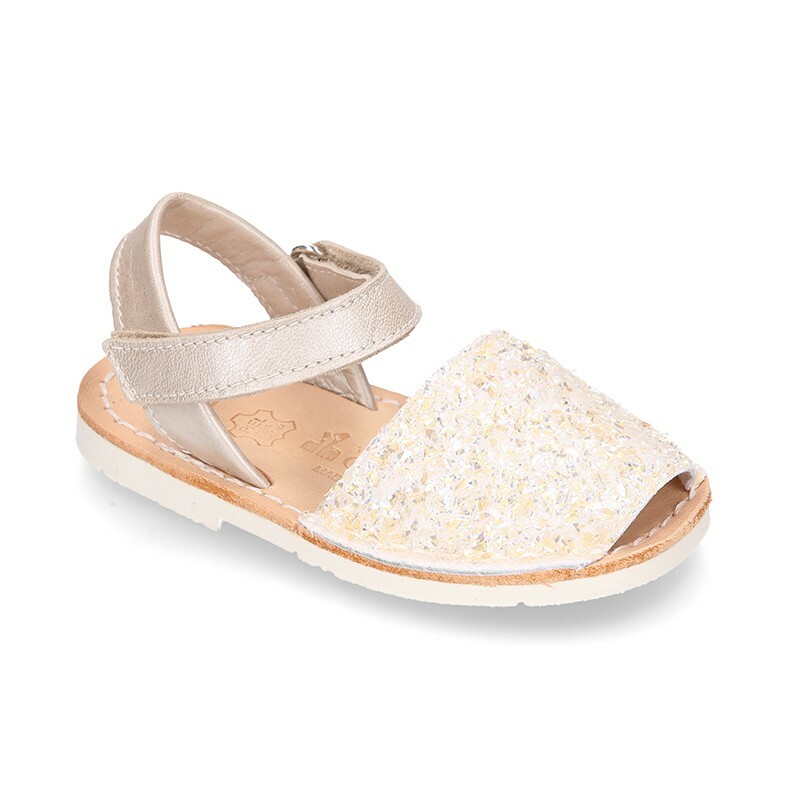 New Menorquinas sandals with velcro strap in pearl nappa leather with crystals design. 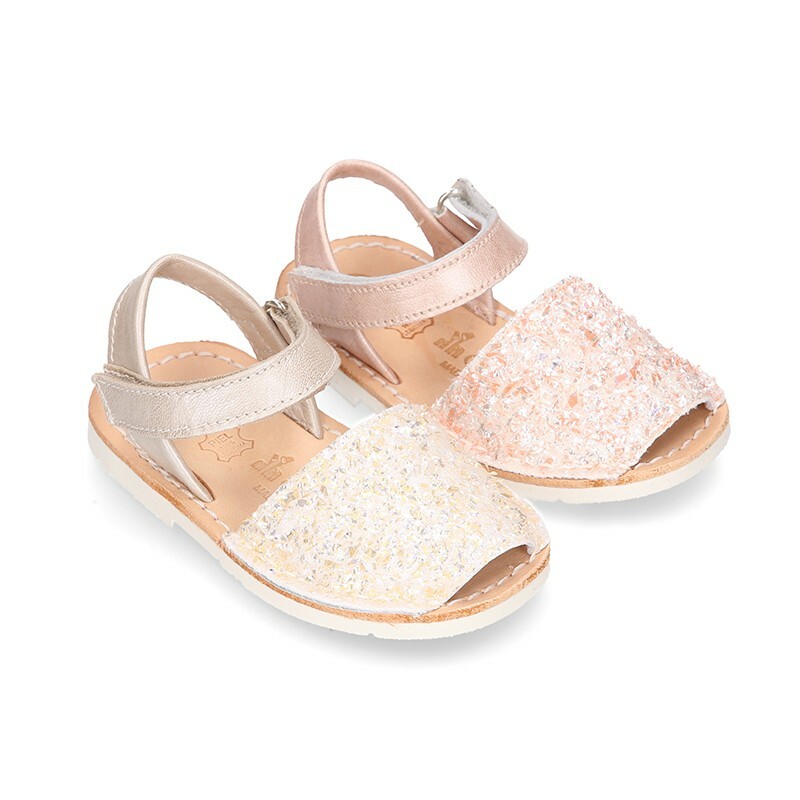 New Menorquina sandal shoes with velcro strap in pearl soft napa leather with crystals design and super flexible soles. SIZING LARGE. 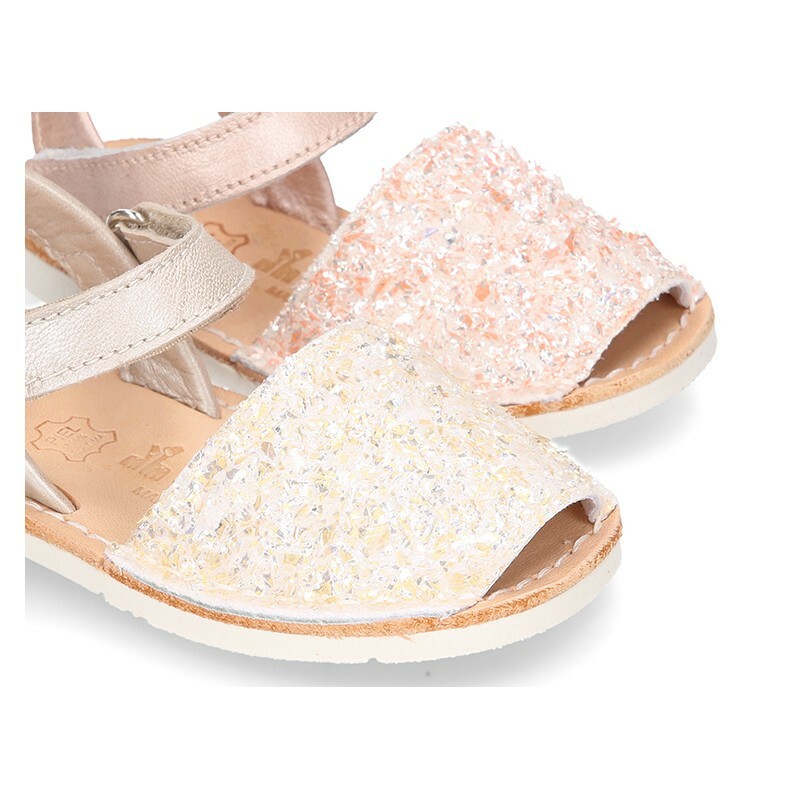 More info about New Menorquinas sandals with velcro strap in pearl nappa leather with crystals design. 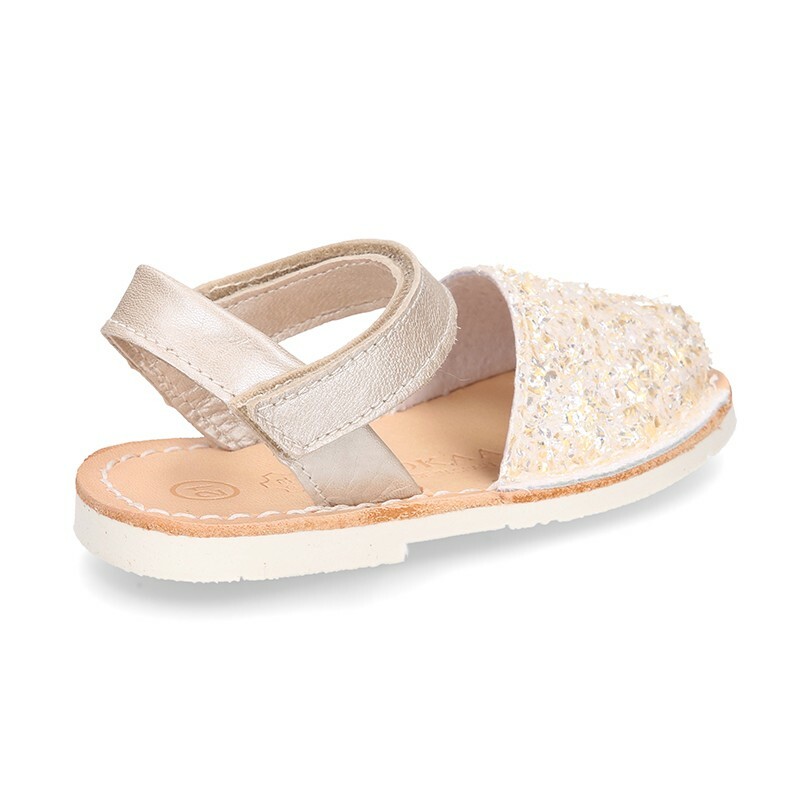 Traditional Menorquina, also known as Ibicenca or abarca in Spanish to dress, with velcro strap for a correct grip in natural pearl soft leather with crystals design for girls. 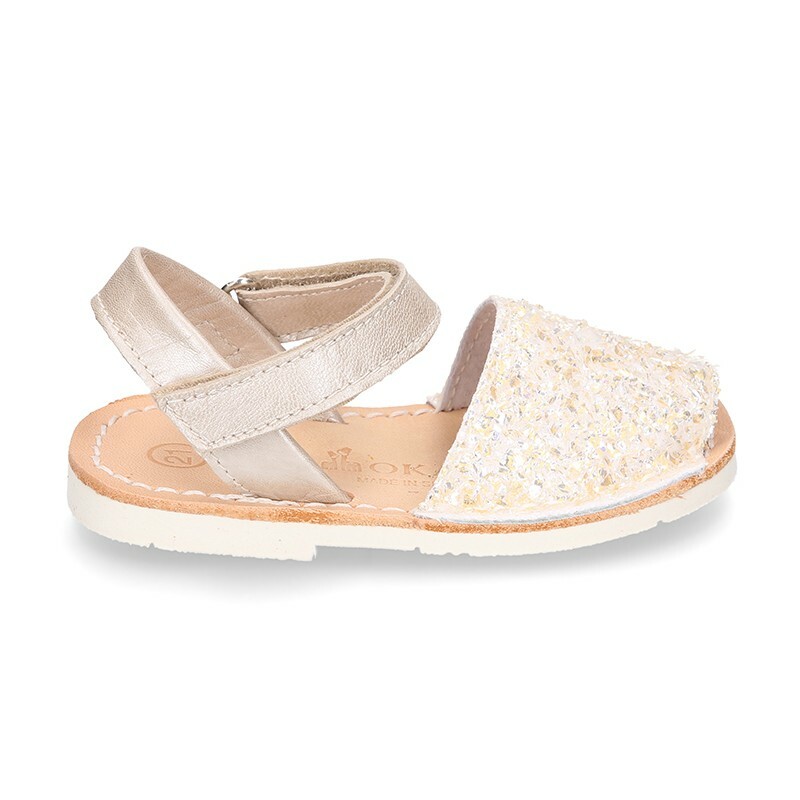 Made up of 100% high quality extra soft natural nappa leather with crystals design combined with 100% nappa leather with pearl sof effect. A must-have of this summer. Very practical and comfortable. Shiny effects shoes are the latest this season. 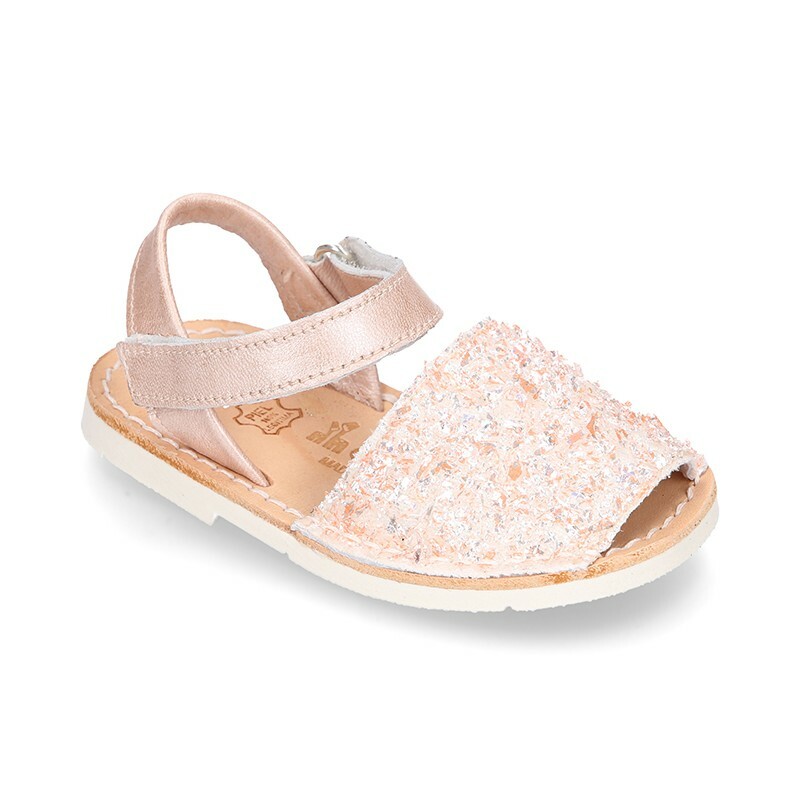 SPECIAL FOR BABIES AND FOR SMALLER SIZES FOR THEIR FLEXIBILLITY. 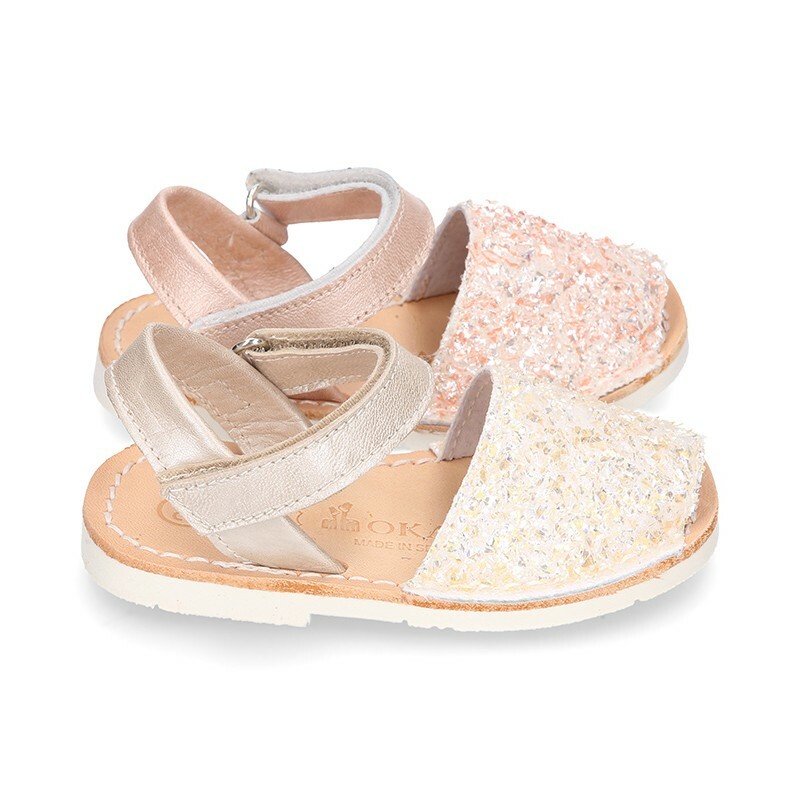 Made up of 100% pastel colors very trendy this season. It´s a new model totally renovated and updated of the classic one. Available in 2 colors. Sizes range: from 20 Euro size up to 30 Euros size. 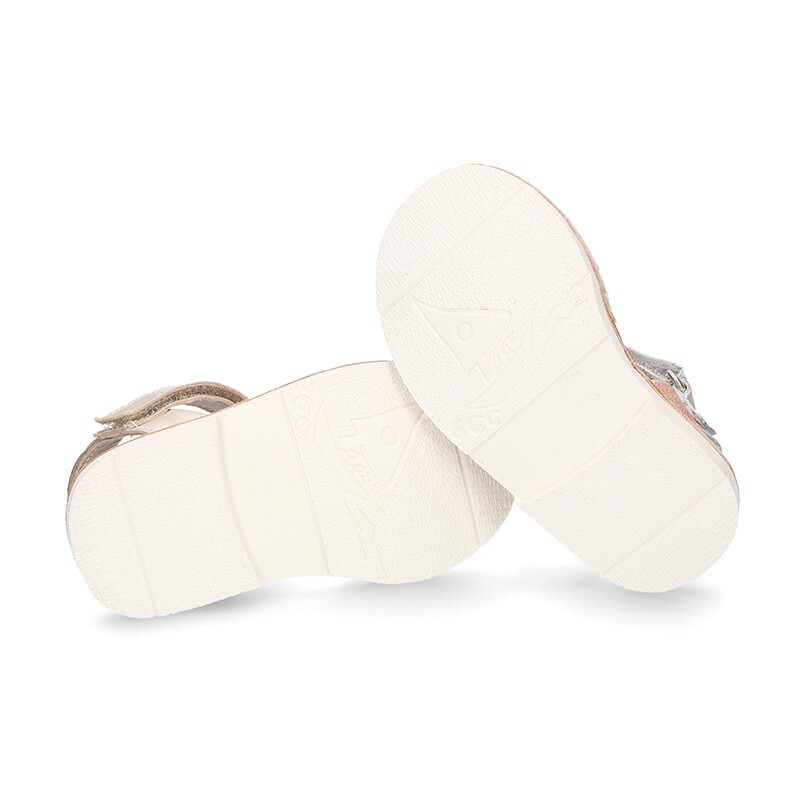 SIZING LARGE, we recoMmend to select a smaller size to regular one. 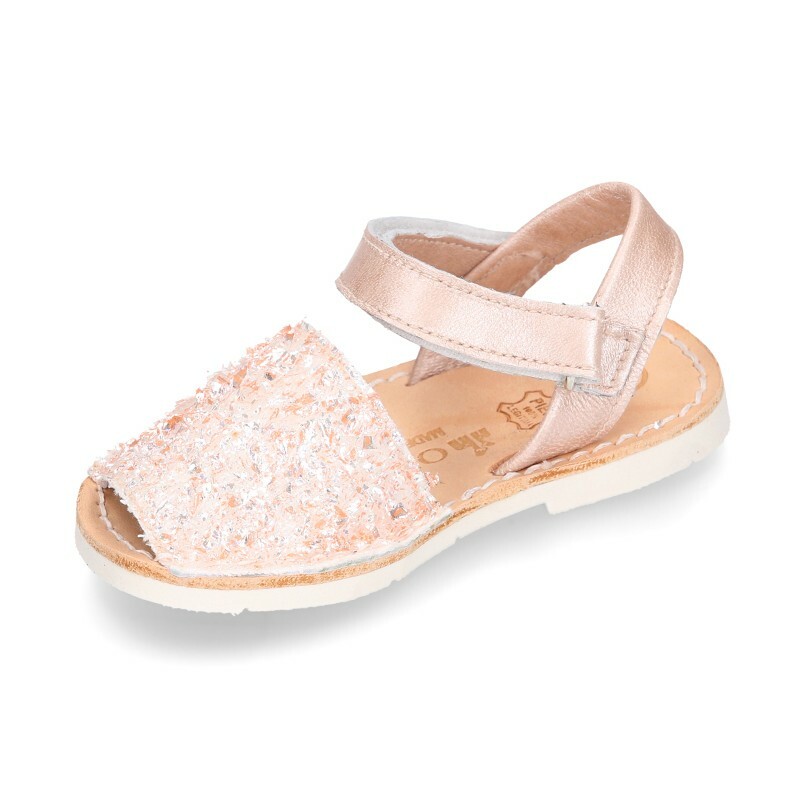 Available for bigger sizes, form 30 up to 40 Euro size in toddler girls and moms sections. 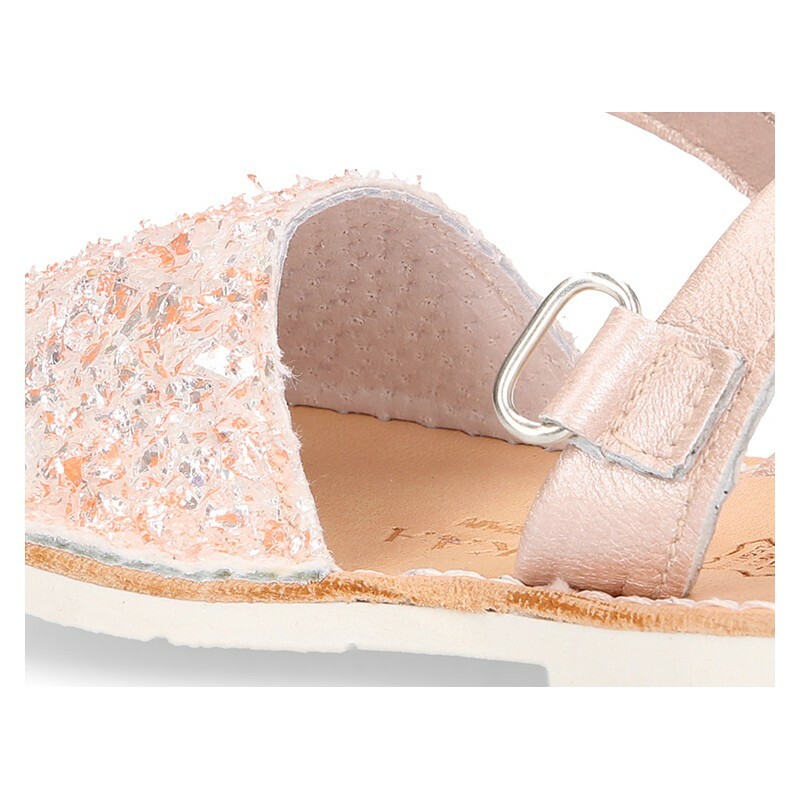 Data sheet about New Menorquinas sandals with velcro strap in pearl nappa leather with crystals design.